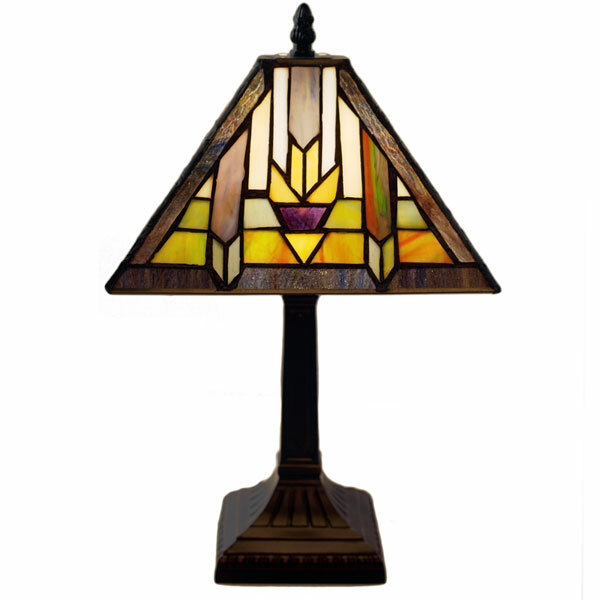 Arrow and diamond shapes in vivid and bold colors have a southwestern flavor in this eye-caching accent lamp. An ideal addition to your home library or bedside table. 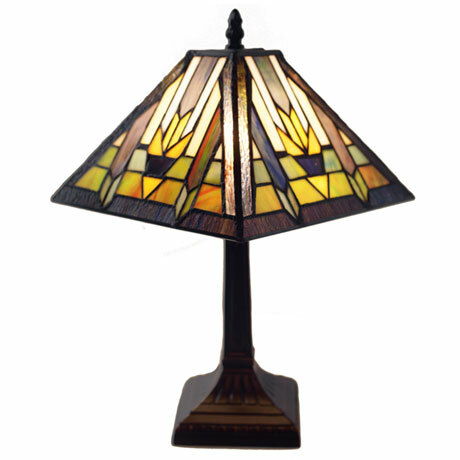 Crafted in Tiffany fashion from 128 cuts of art glass in warm stripes of yellow and orange, all pieced and joined with copper foil, Roman column lamp has an ornate cast resin base with bronze finish, 65" cord, and thumbwheel switch. Takes a -watt bulb (not included). Comes boxed. 9" wide x 15½" high x 9" deep.